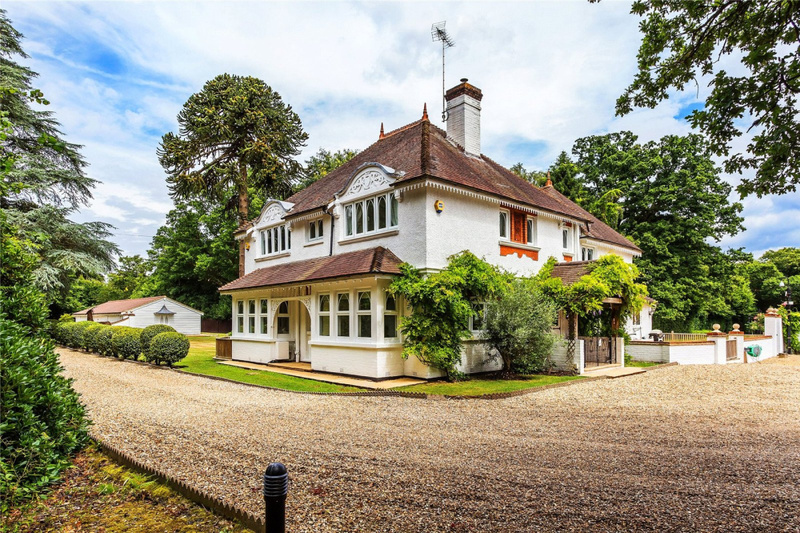 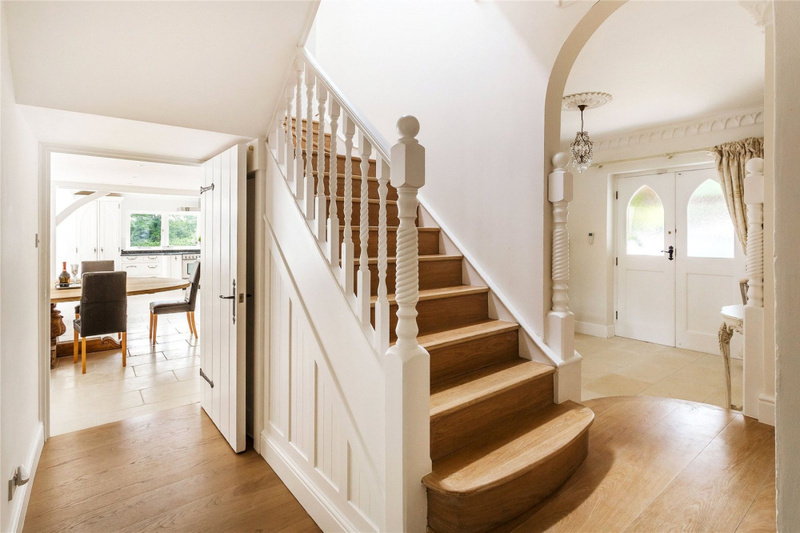 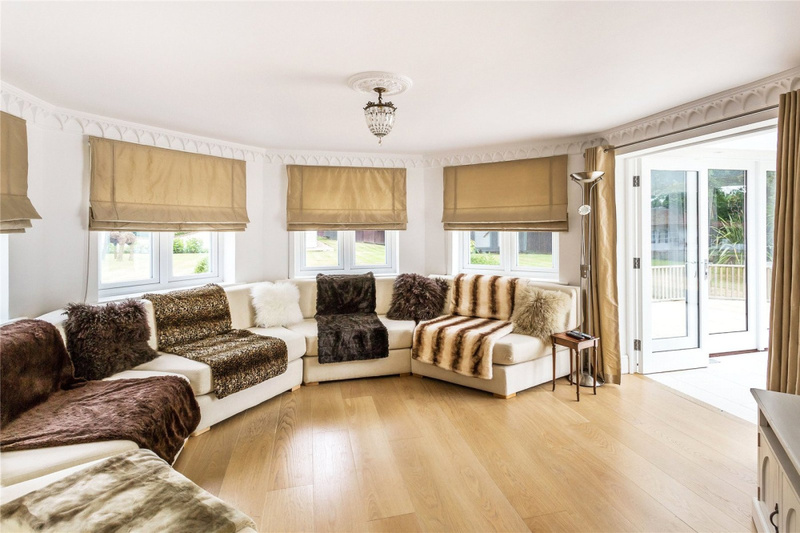 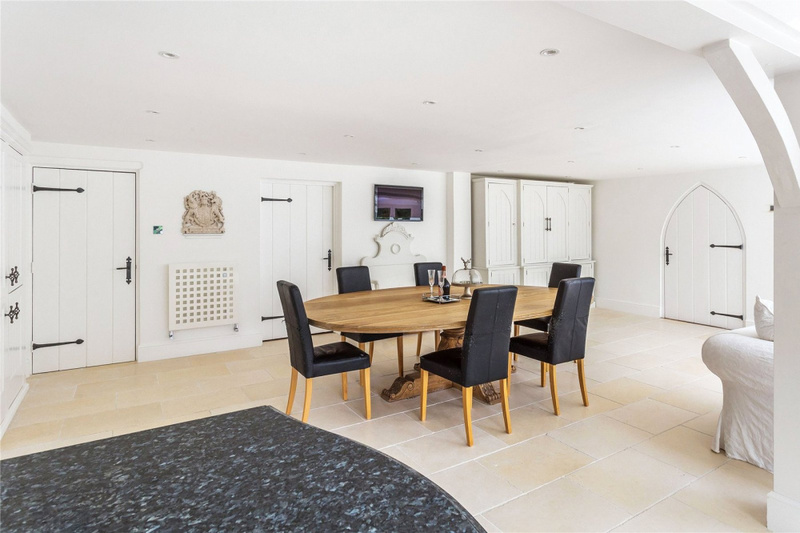 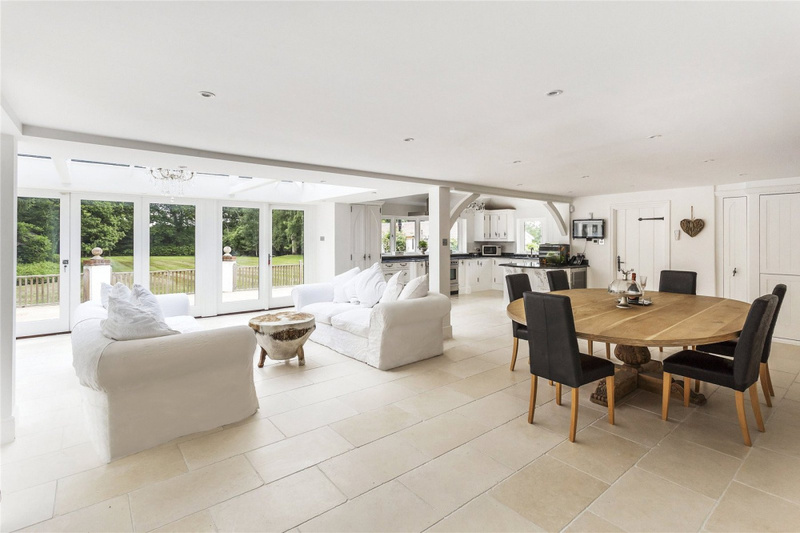 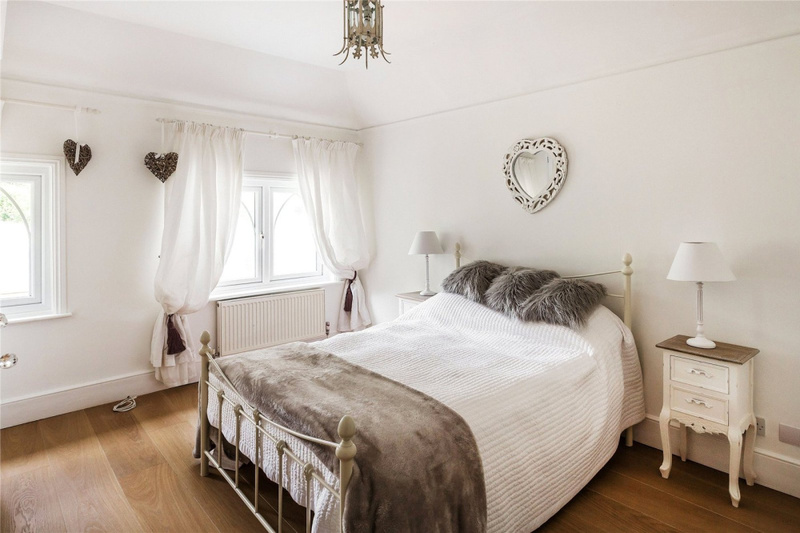 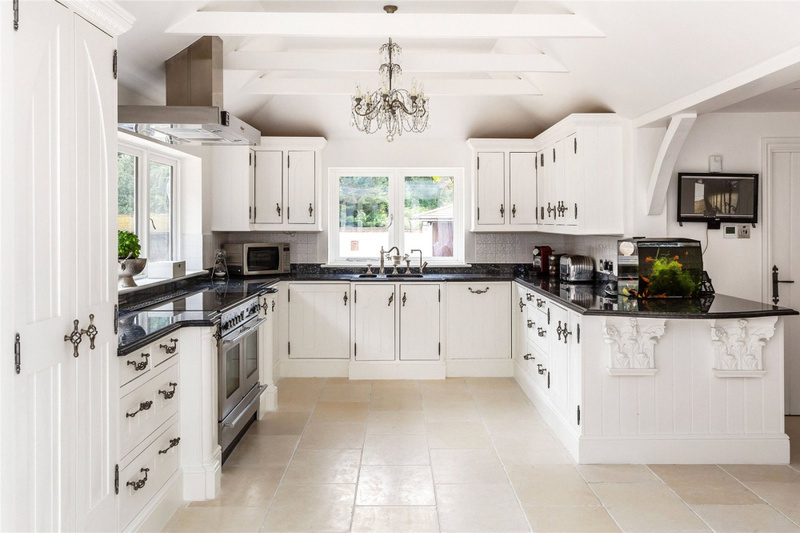 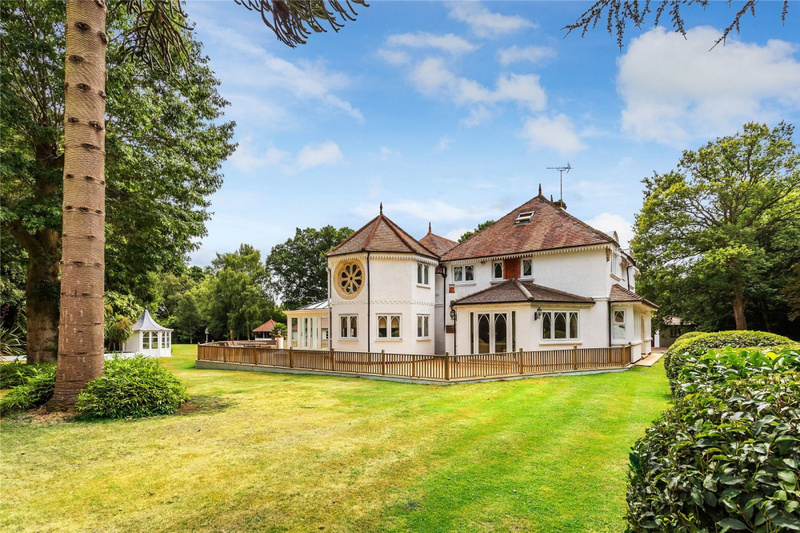 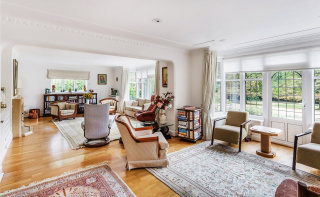 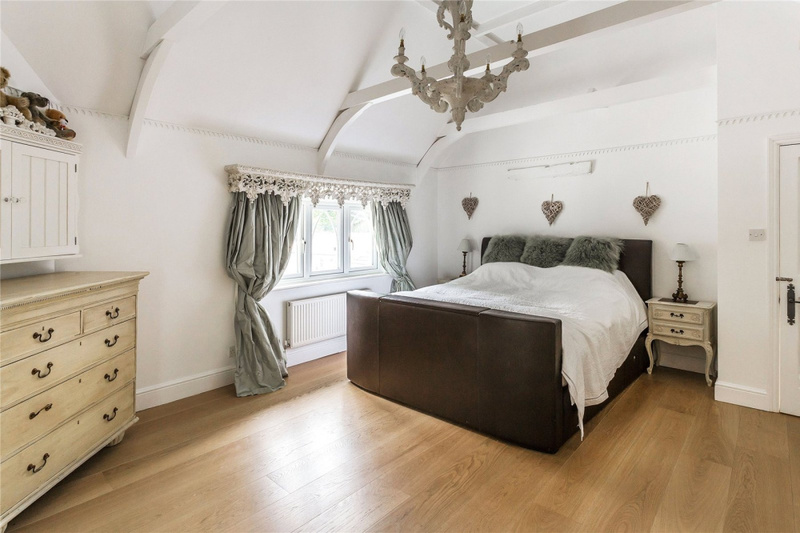 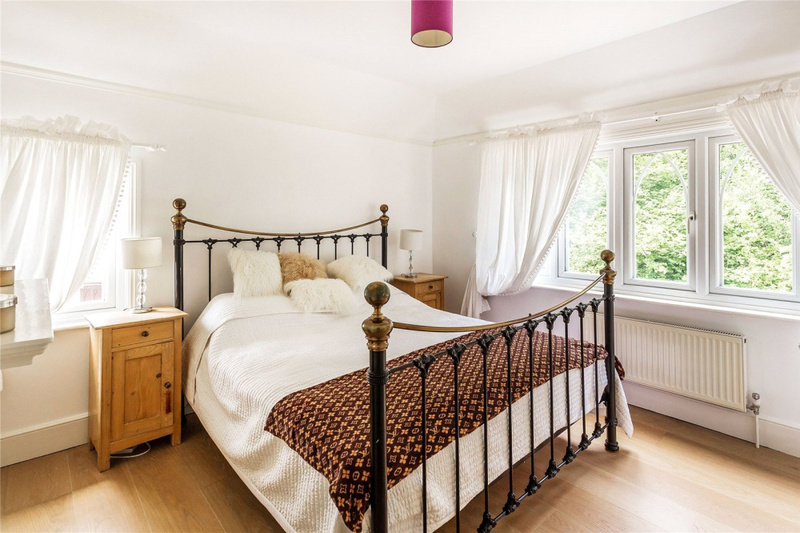 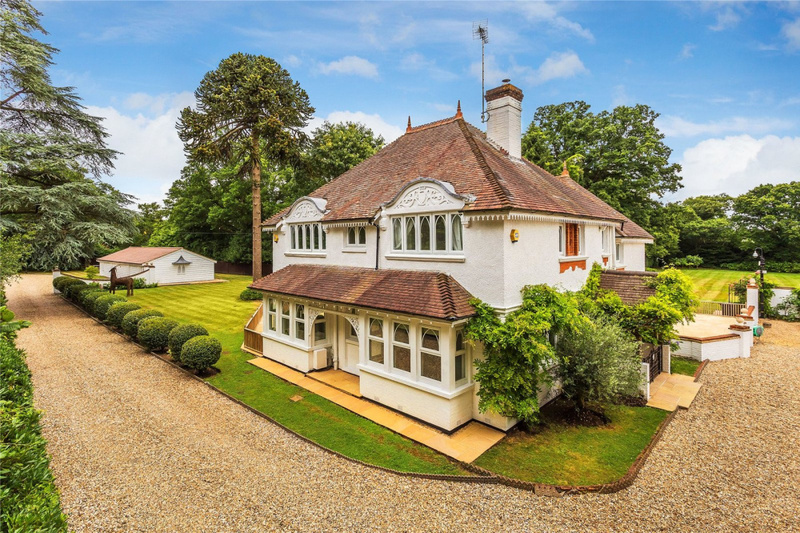 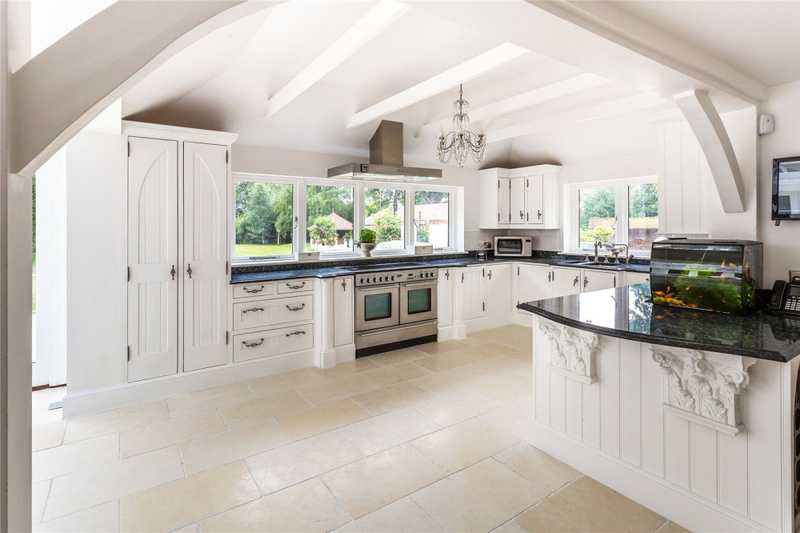 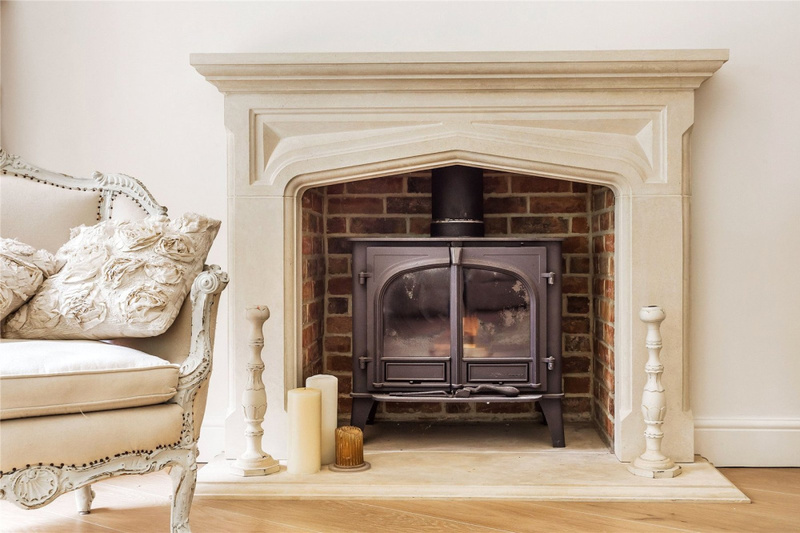 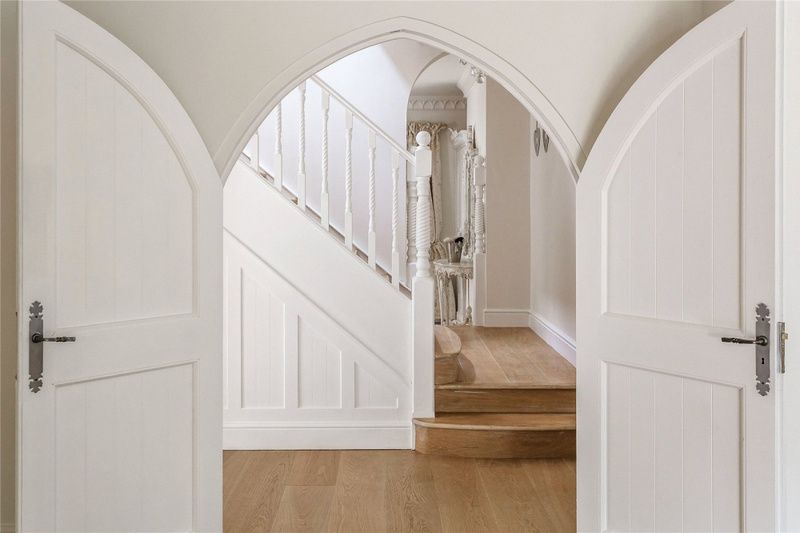 Stunning five bedroom detached family home, nordic influenced dating back to 1895, that has been totally refurbished and extended by the present owners to an extremely high standard set in beautiful grounds measuring circa 9 acres. 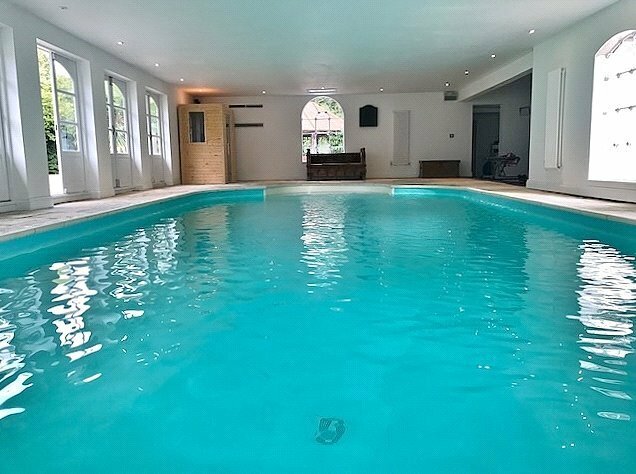 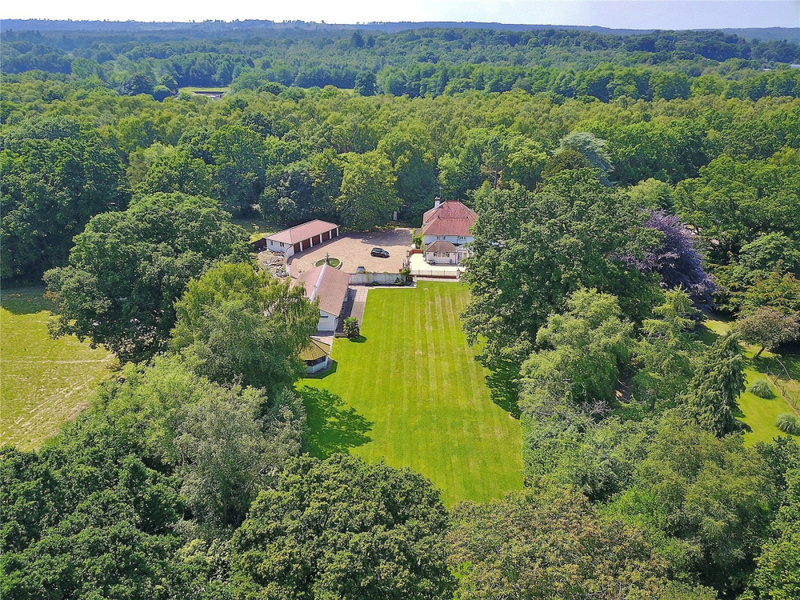 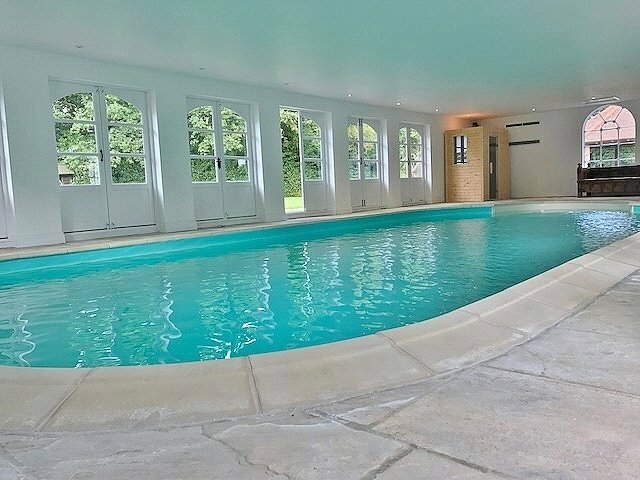 Further benefits include an indoor pool, three horse stable, housed jacuzzi, large out buildings & three garages. 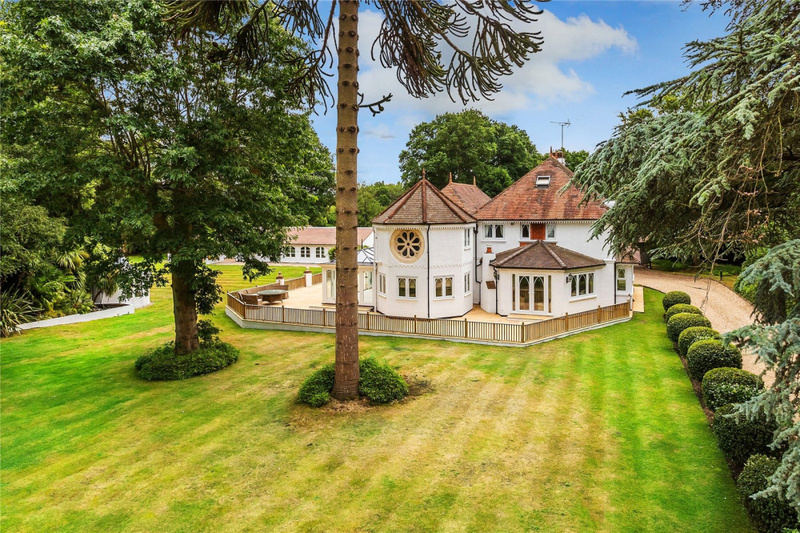 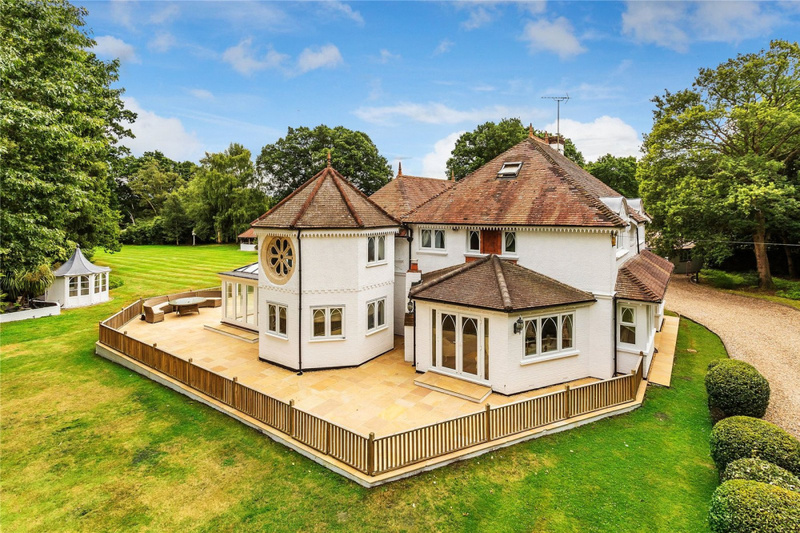 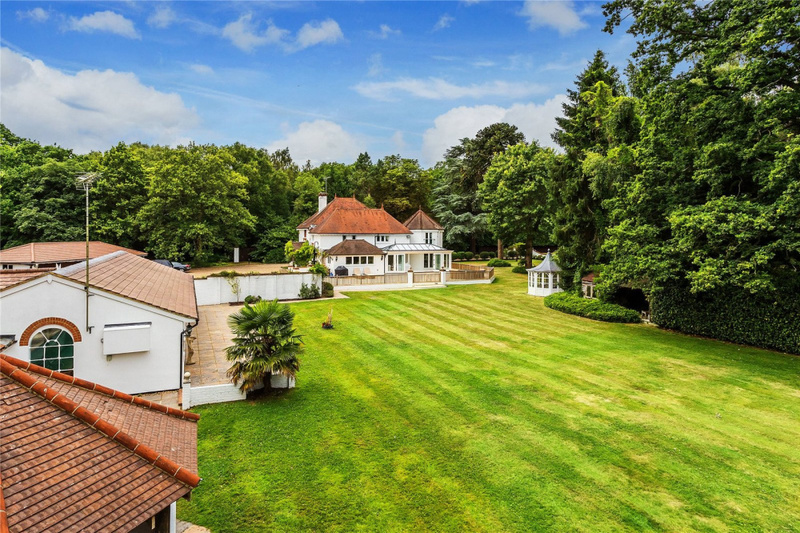 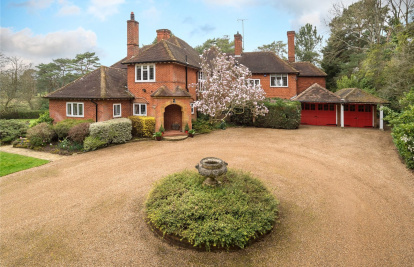 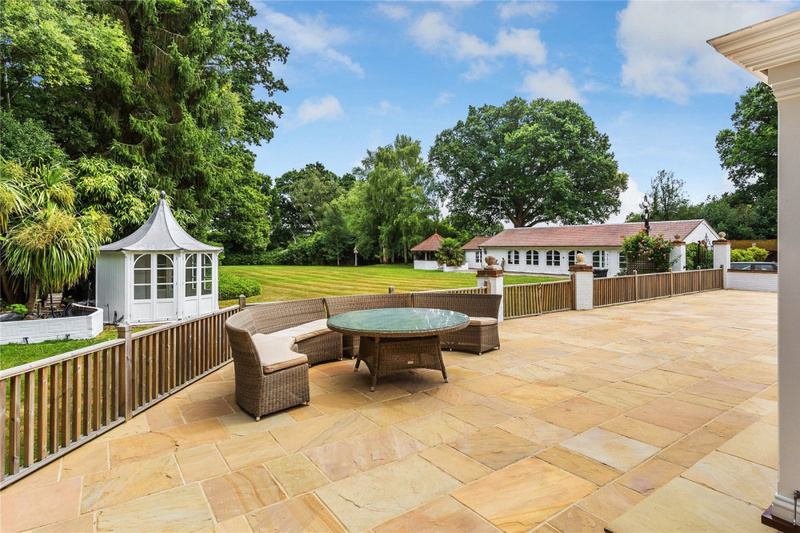 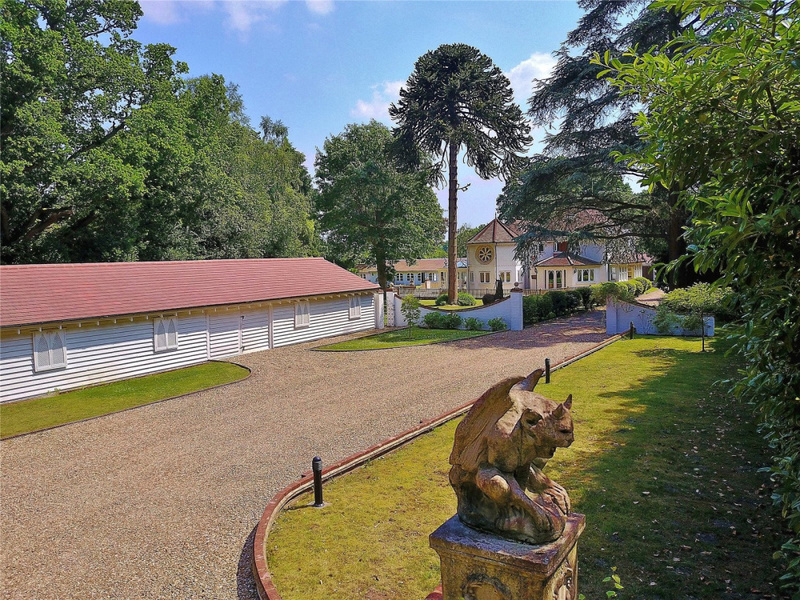 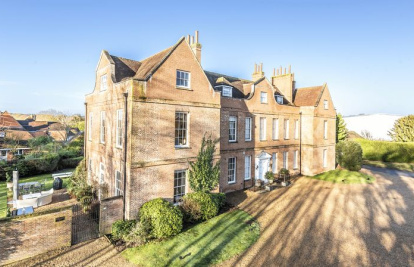 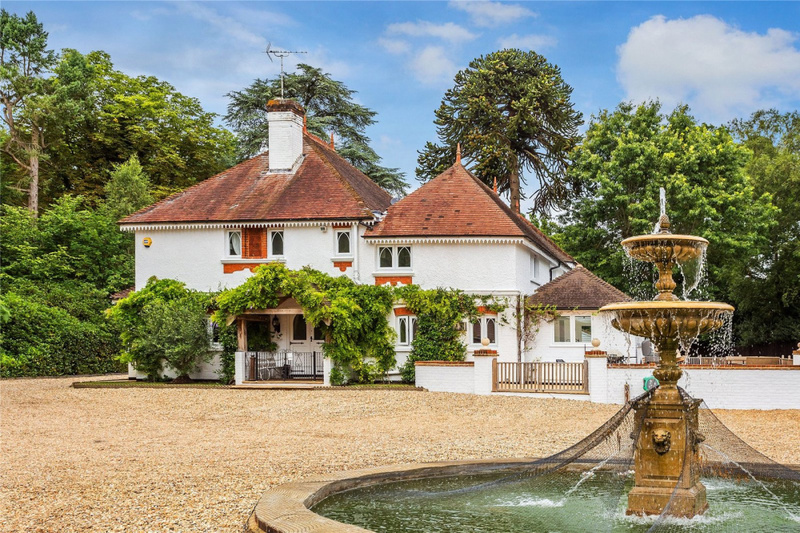 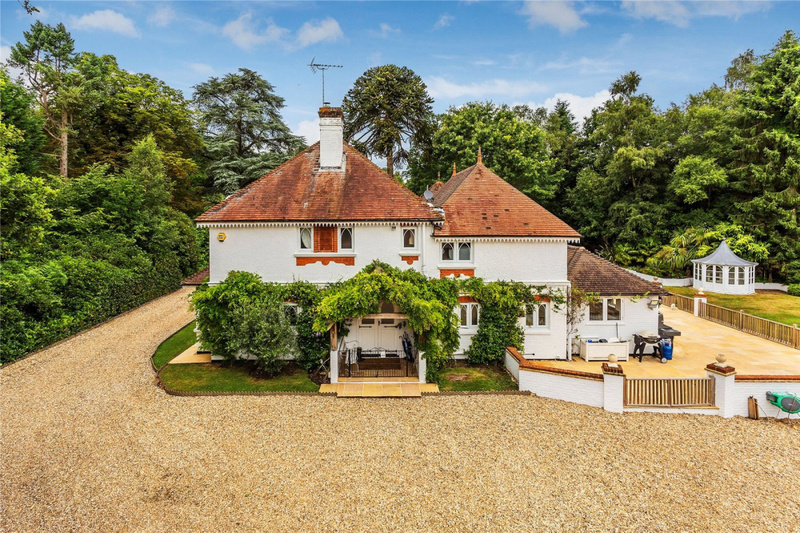 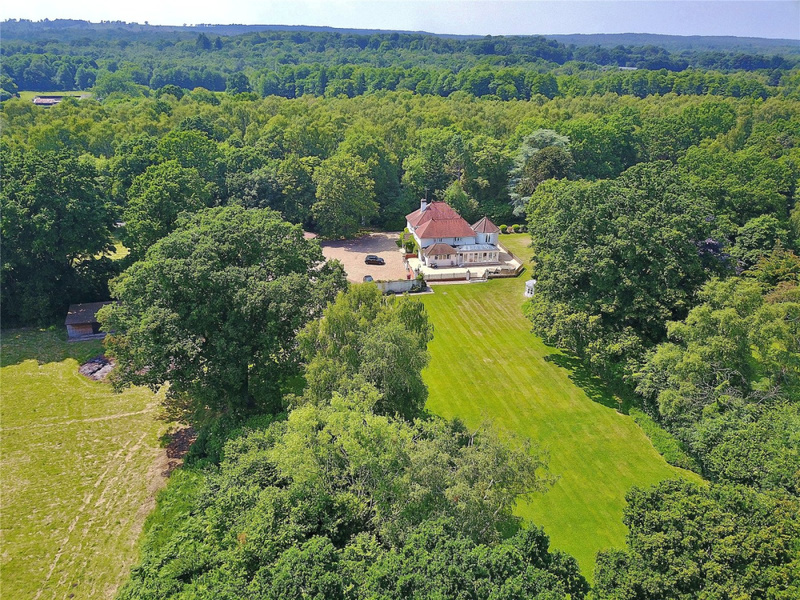 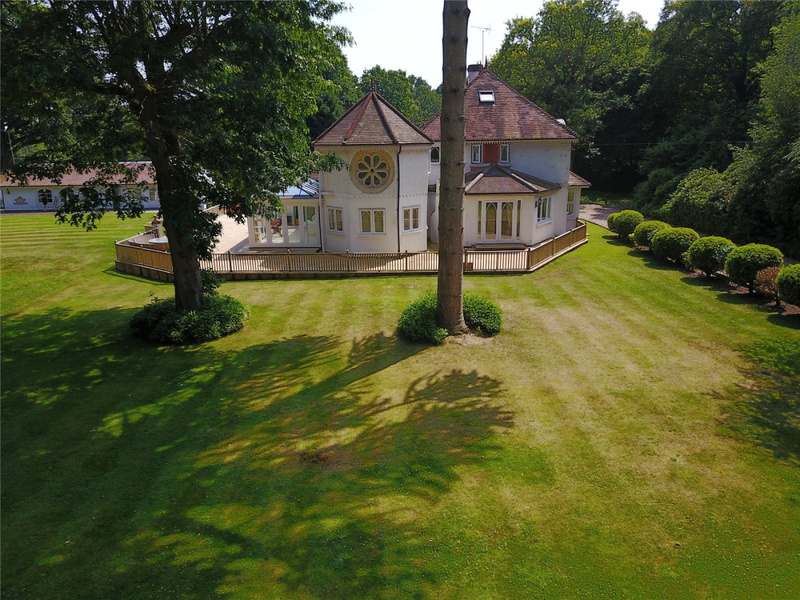 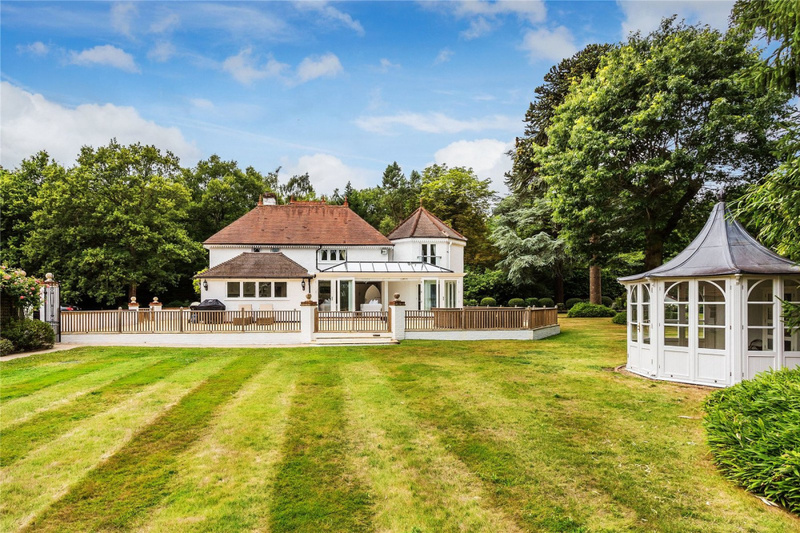 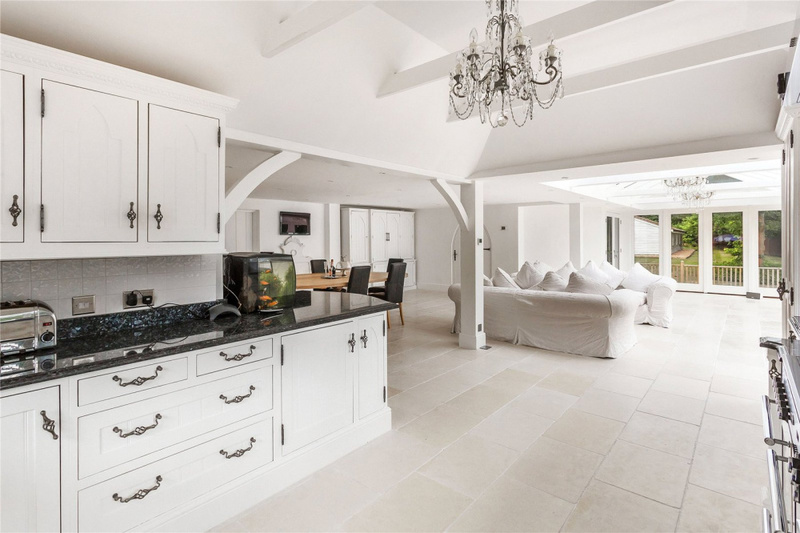 The property is approached via electric gates down a long sweeping gravel drive which leads to the front of the house, conveniently located close to Woking & Guildford town centres. 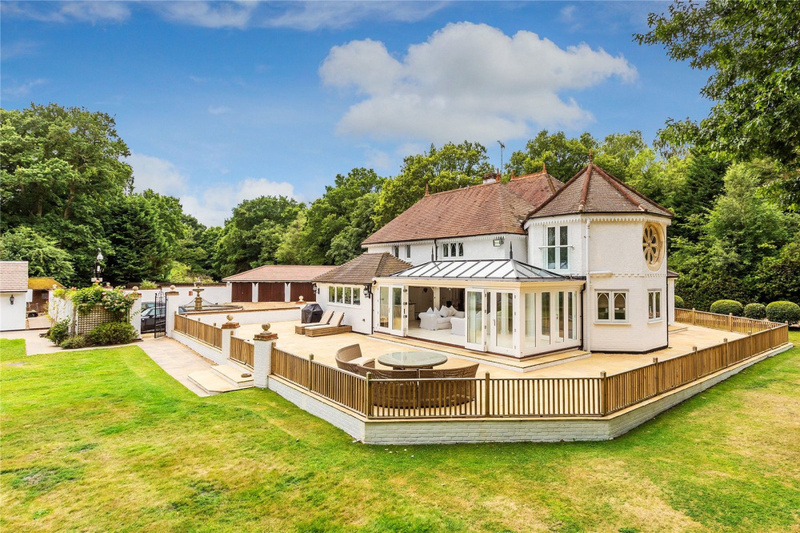 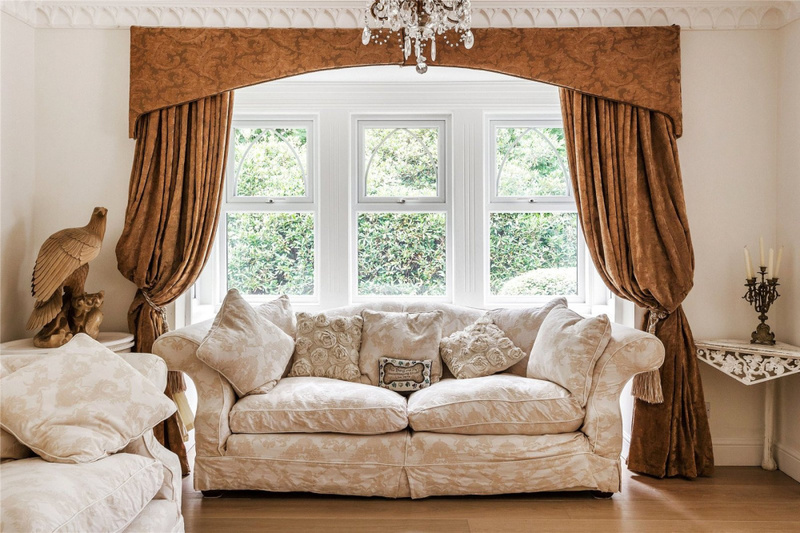 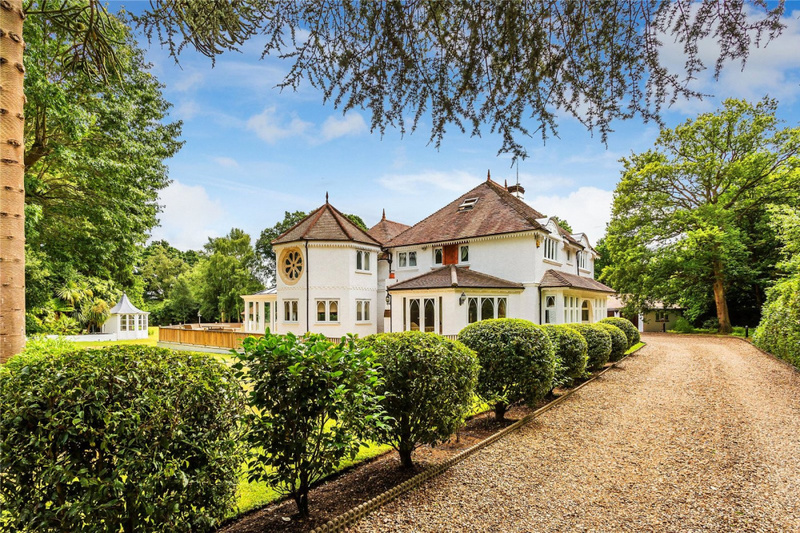 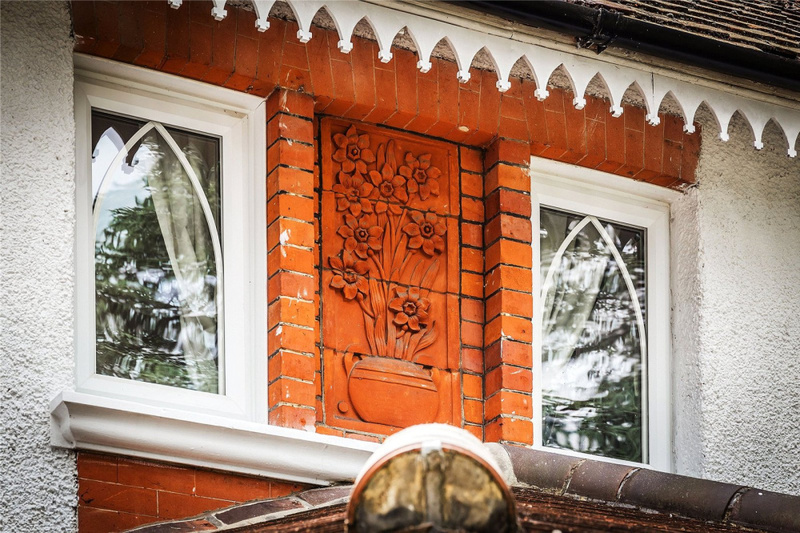 Also within close proximity to Brookwood station with its fast link into London Waterloo in 35 minutes. 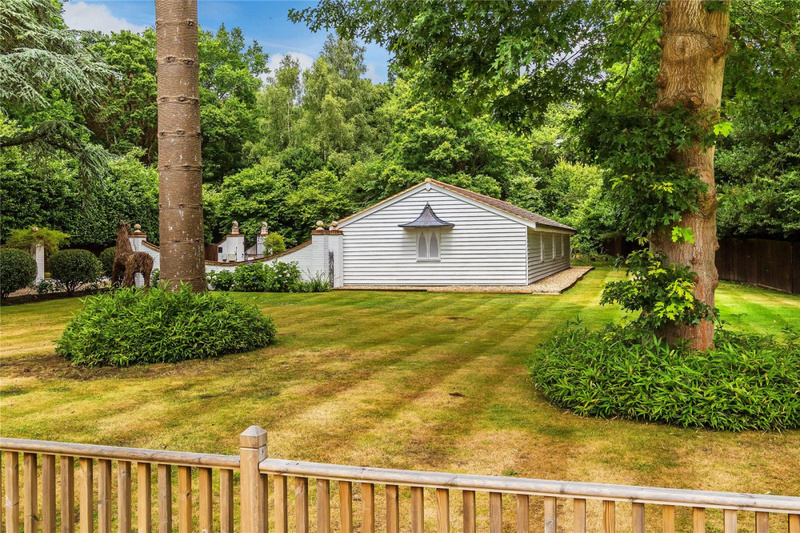 Hidden gem for a London commuter. 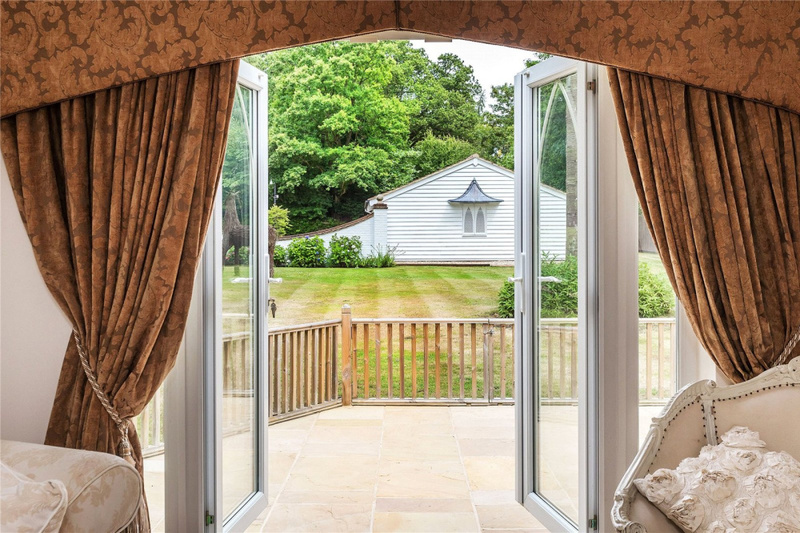 Also only 22 minutes from Foxhill Private members club, which offers a 5 Star facilities plus 18 hole Golf course. 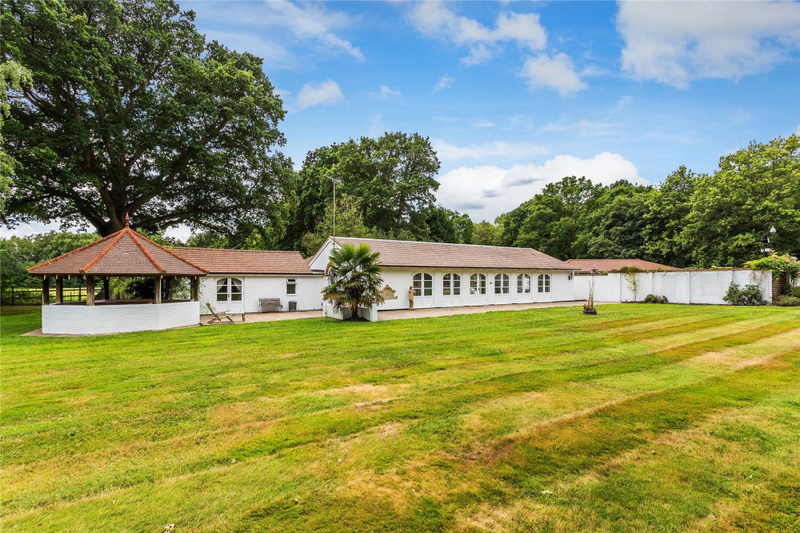 Approx 20 minutes drive to Rhydes Hill school which has outstanding ofsted & David Lloyd in Woking only a short drive away. 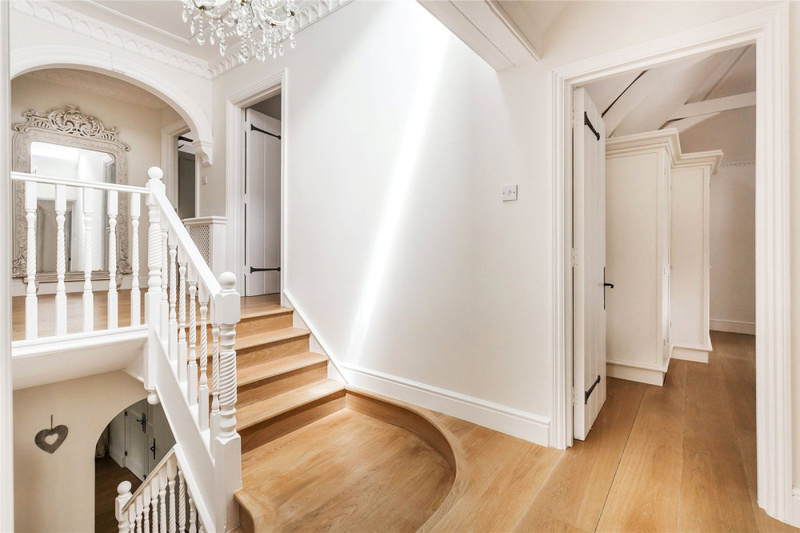 Stairs rise from the reception hall to the split landing on the first floor. 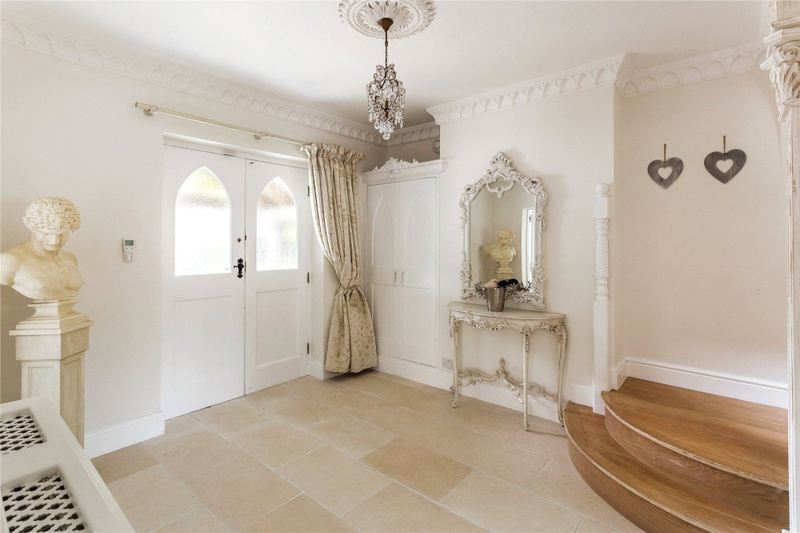 Doors lead to all five double bedrooms. 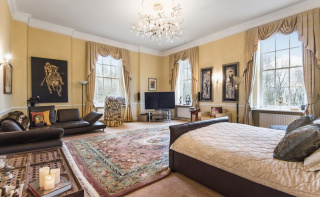 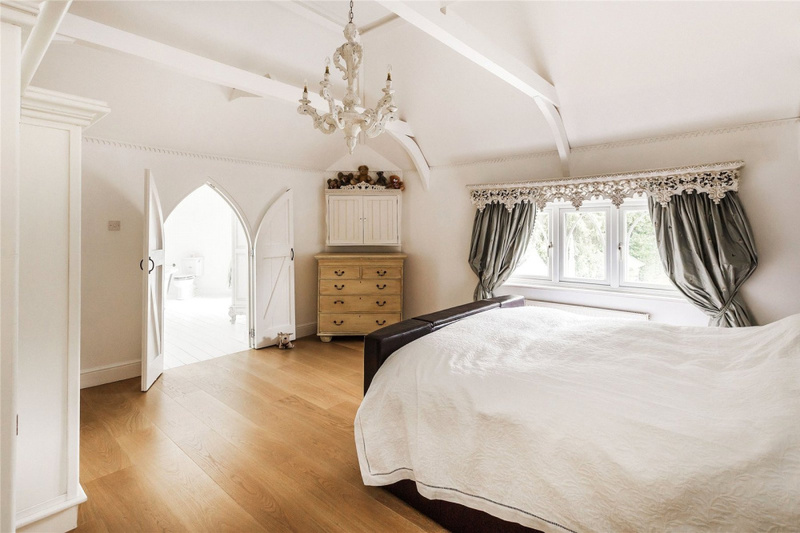 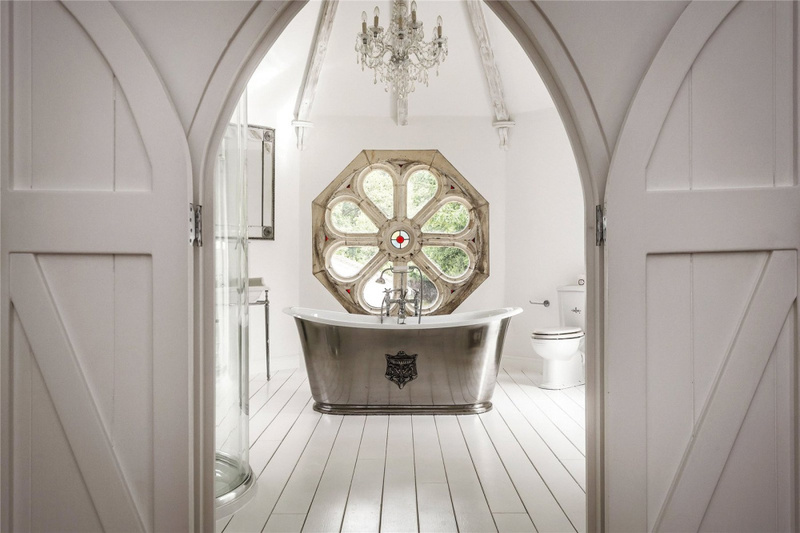 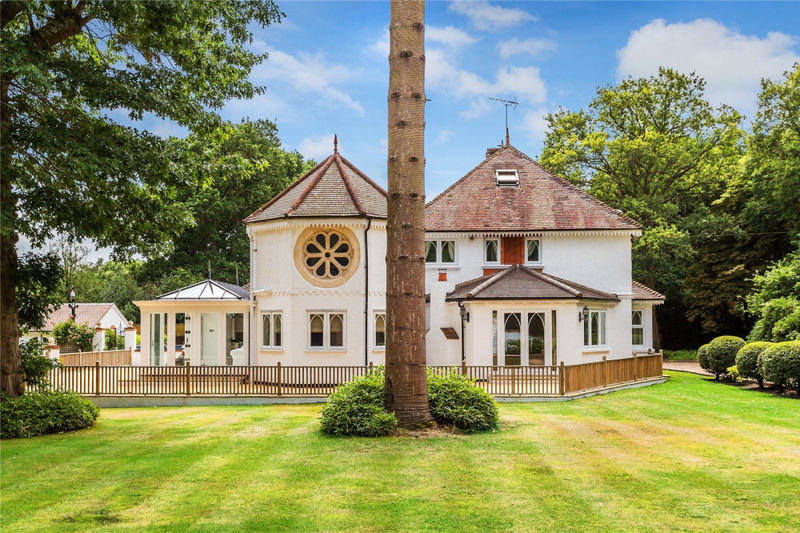 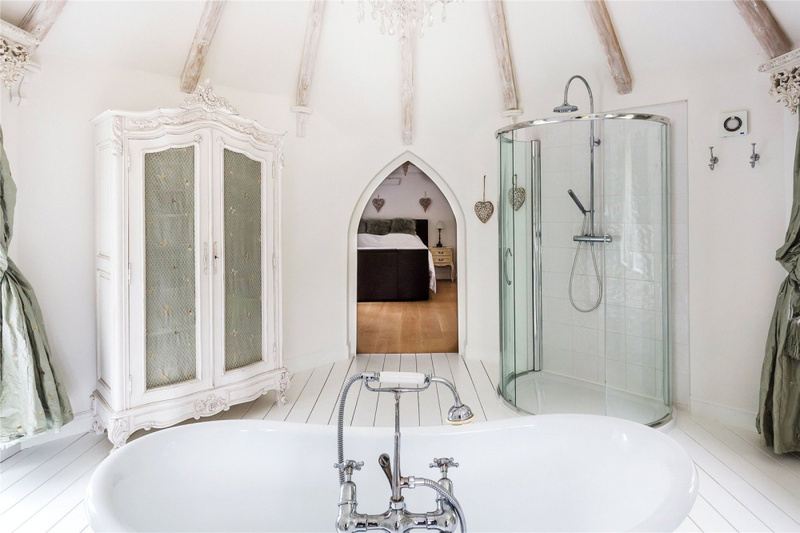 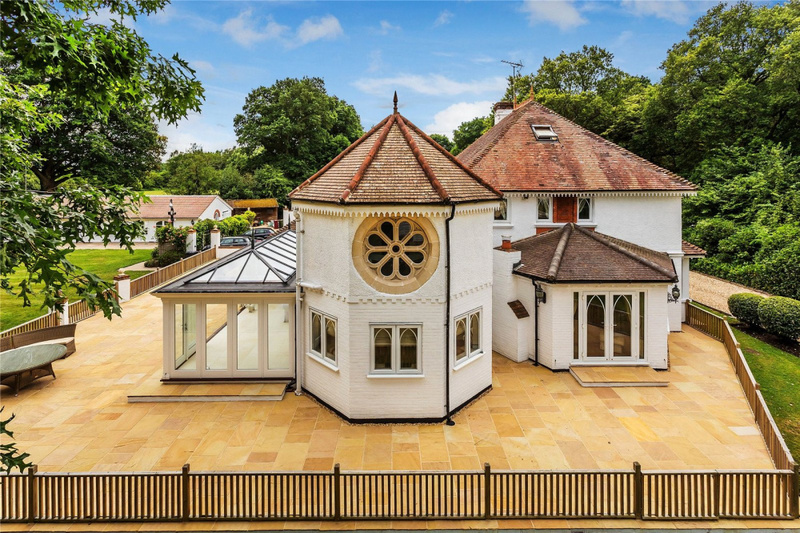 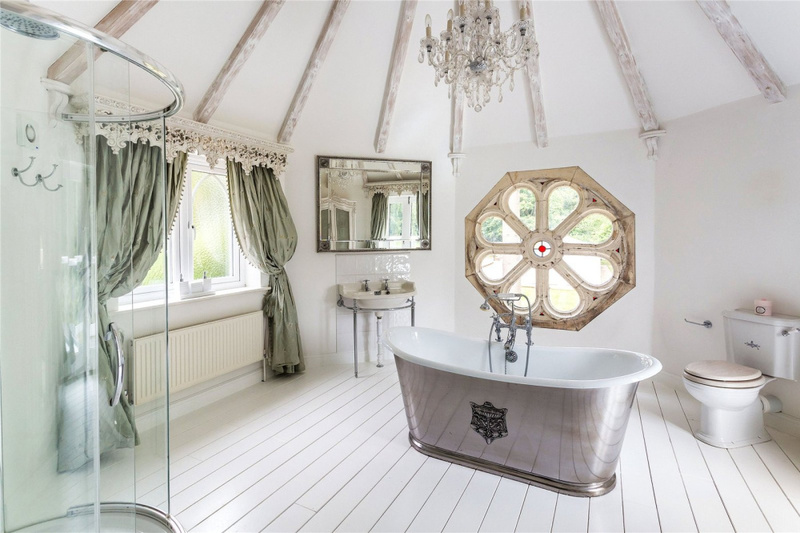 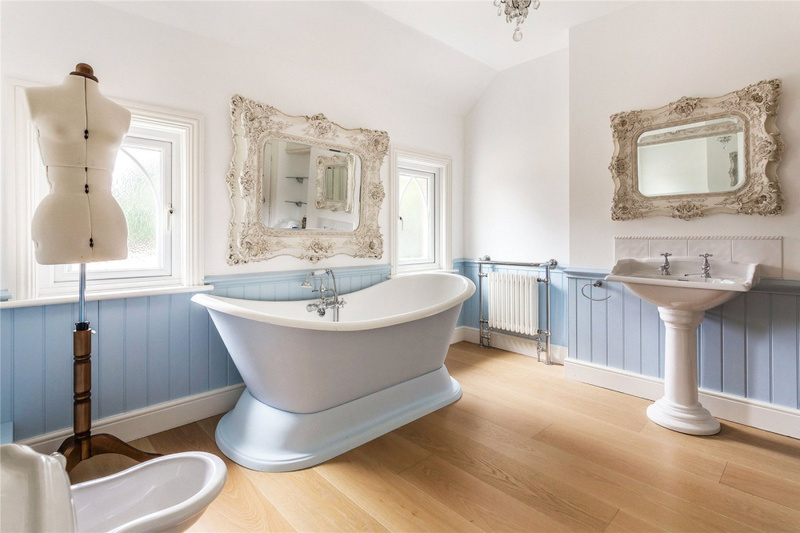 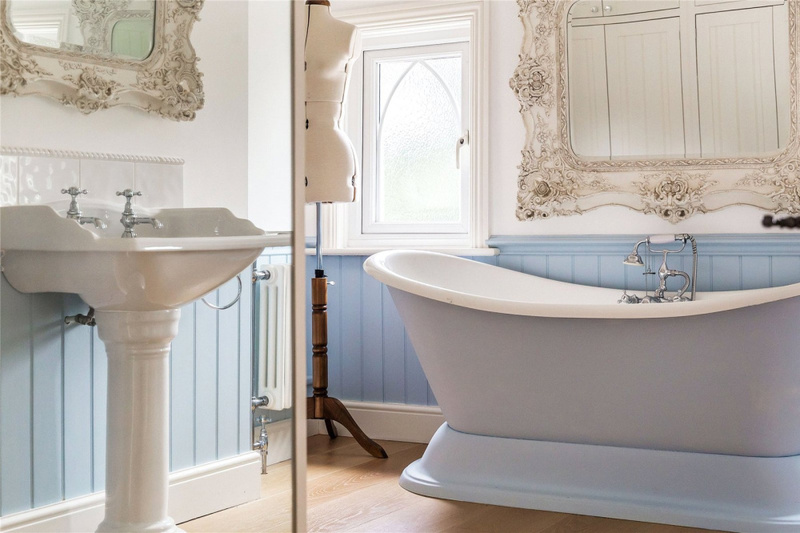 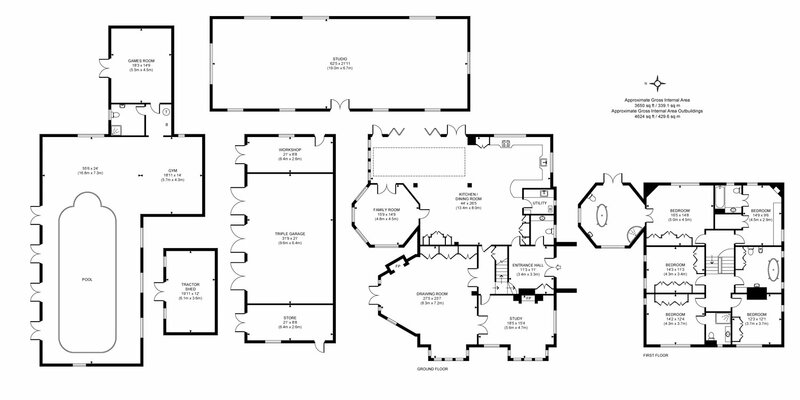 A stunning master bedroom leads through into an octagonal feature bathroom with freestanding roll top bath, shower, dressing area and themed octagon window with teardrop and stained glass. 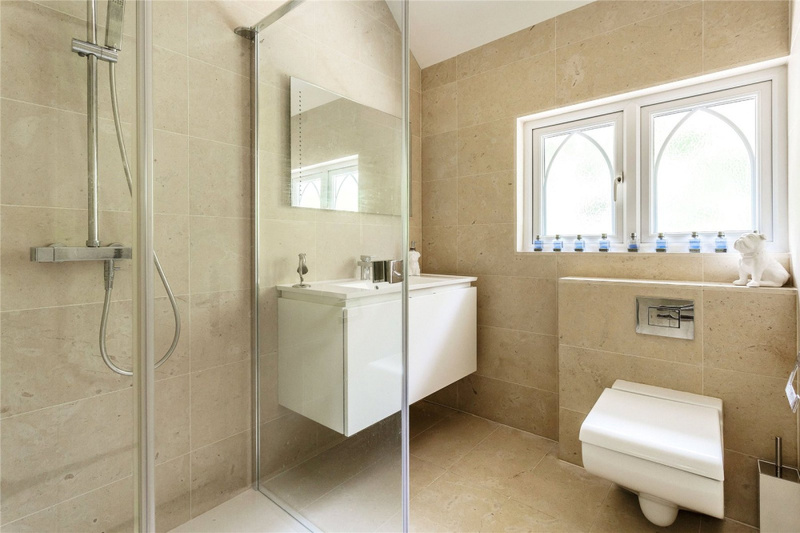 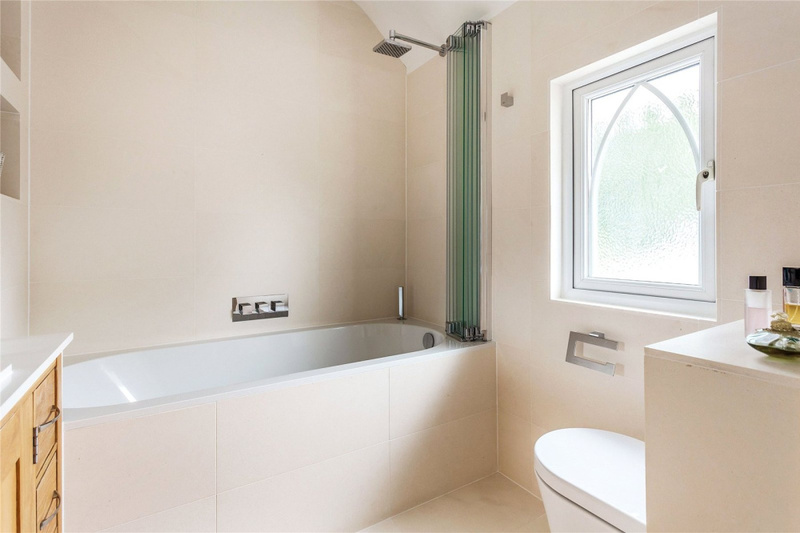 There are two further bedrooms with en suite shower rooms and two bedrooms which share the family bathroom. 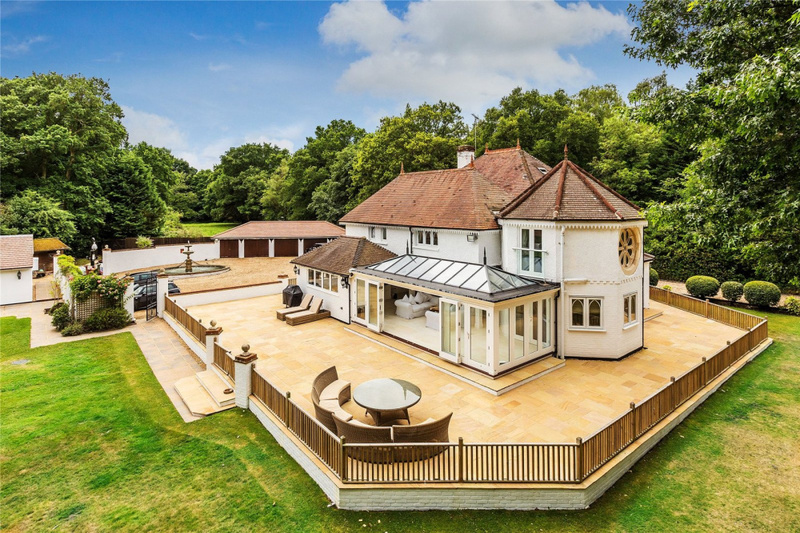 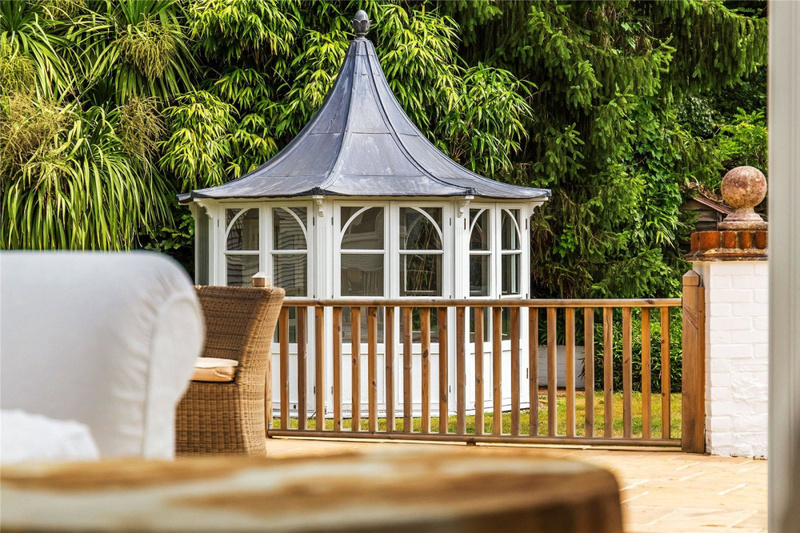 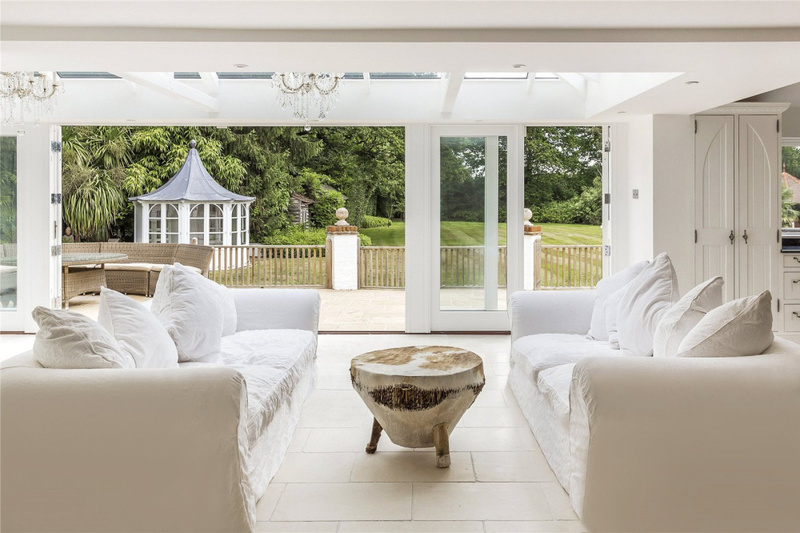 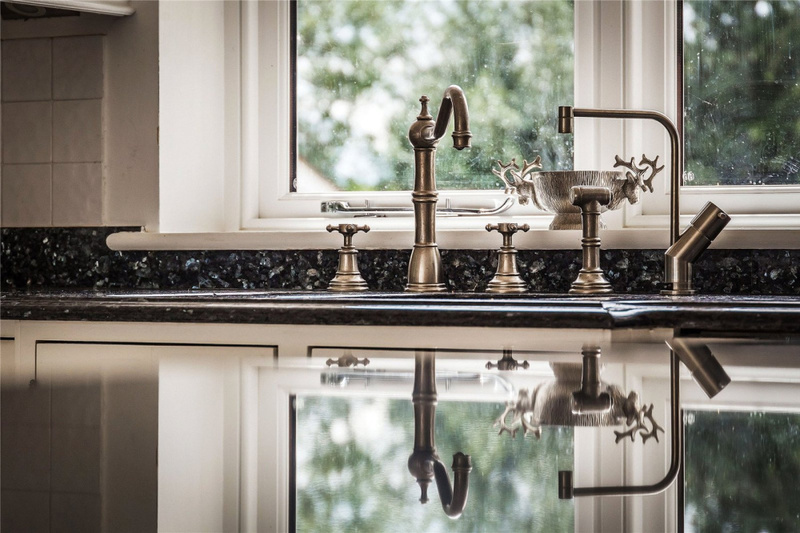 Further ancillary accommodation to the house includes an indoor swimming pool and gym complex overlooking the garden. 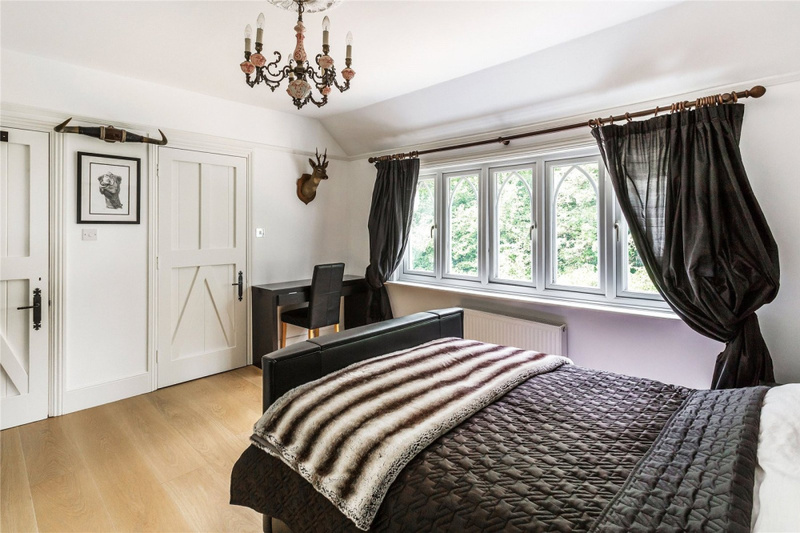 This also offers a changing room, shower and adjacent games room which has in the past doubled up as an annex. 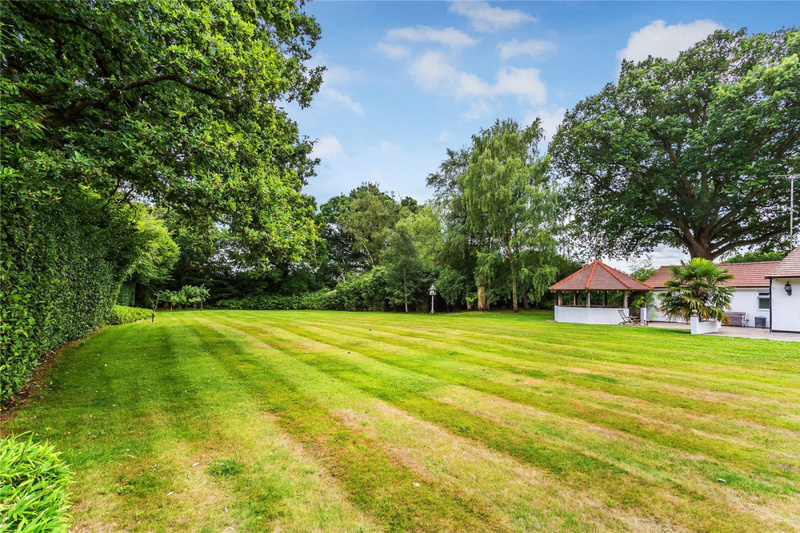 Grounds have been maintained to a high standard and include extensive garaging and storage. 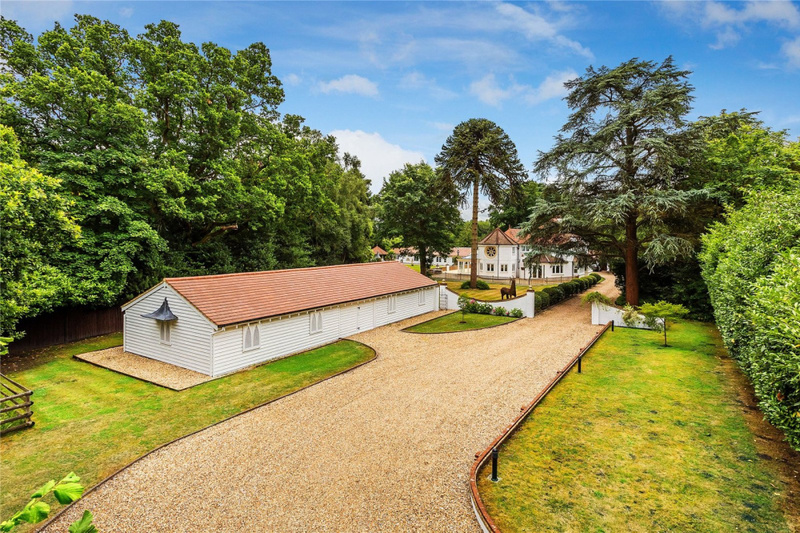 A former five bay garage block is currently sub-divided into a triple garage with workshop and wine store. 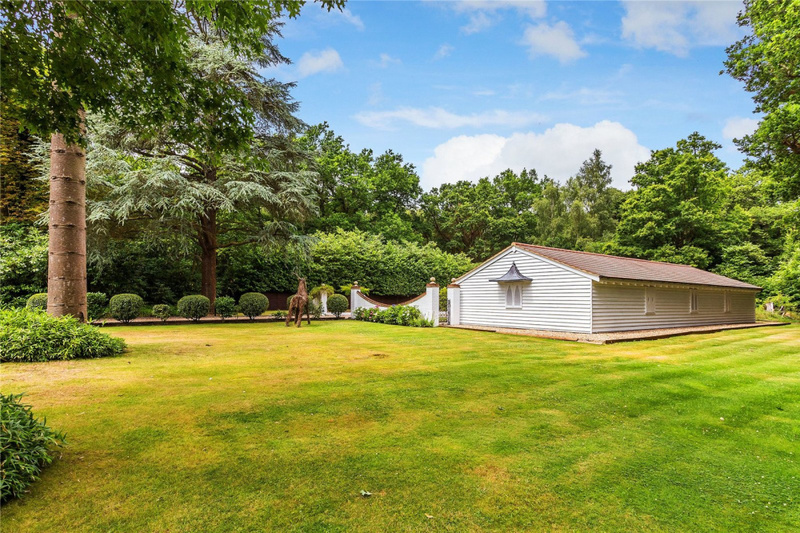 There is also an additional 62ft studio/barn, stables and tractor storage shed within the grounds. 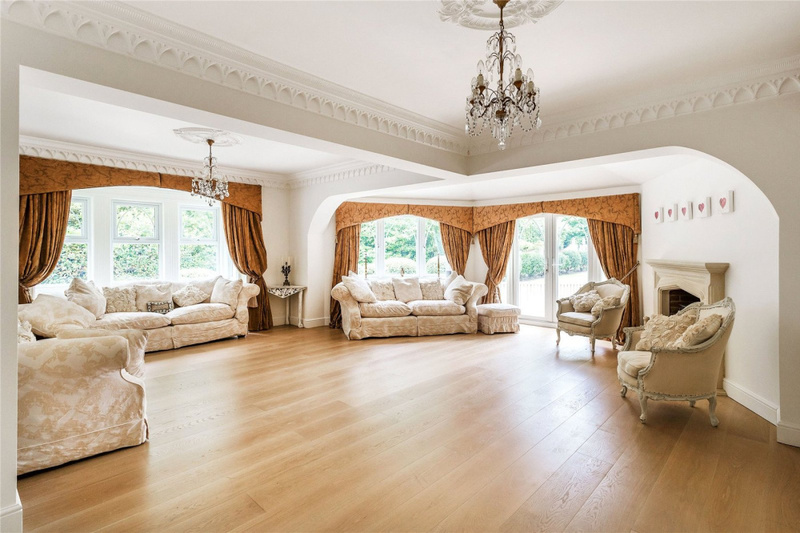 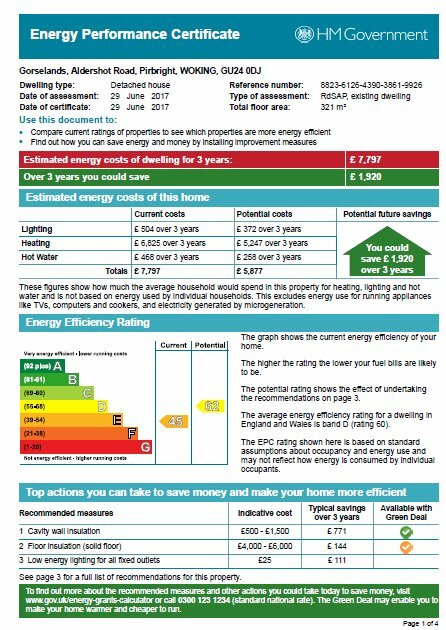 Use this form to contact Prestige Homes about this property.